U.S. stocks took a breather on Wednesday with major indices little changed after one of the largest four-day bull runs in recent history. The House has authorized a one year extension to the government's borrowing authority until March 16, 2015. The Senate gave the final seal of approval this afternoon. The bill will be headed to President Obama's desk for his signature. Federal Reserve Bank of St. Louis President James Bullard said that the U.S. economy is inching closer to being “normal” and remains optimistic that GDP can grow “three percent or better.” Bullard isn't worried about a slew of recent weak data which hasn't changed his outlook. The Dow lost 0.19 percent, closing at 15,963.94. The S&P 500 lost 0.03 percent, closing at 1,819.27. The Nasdaq gained 0.24 percent, closing at 4,201.29. Gold gained 0.01 percent, trading at $1,289.80 an ounce. Oil gained 0.30 percent, trading at $100.24 a barrel. Silver gained 0.11 percent, trading at $20.17 an ounce. MBA Mortgage Applications declined two percent compared to a gain of 0.4 percent last week. Crude EIA Petroleum inventories rose 3.3 million barrels. China's exports blew past estimates and rose 10.6 percent year over year in January, substantially higher than the two percent consensus estimate. Japan's core machinery orders fell 15.7 percent on month in December, worse than the expectations for a drop of 4.1 percent. The Bank of England increased its outlook for the U.K. economy and predicted that GDP will grow 3.4 percent in 2014. Governor Mark Carney said that the central bank will maintain its “exceptional” stimulus program for some time. Analysts at UBS downgraded Amazon.com (NASDAQ: AMZN) to Neutral from Buy with a price target lowered to $375 from a previous $450. The analysts noted an Amazon Prime survey that they conducted which showed that 94 percent of Prime customers would renew their yearly subscription at $79 per year. The percentage dropped to 58 percent and 24 percent, respectively, if Amazon hikes the yearly costs by $20 and $40. Shares lost 3.47 percent, closing at $349.24. Analysts at Longbow downgraded Green Mountain Coffee Roasters to Neutral. The analysts noted “Despite meaningful long-term earnings opportunity from a cold beverage maker partnership with Coca-Cola, Green Mountain shares are up over 50% since reporting earlier this month and roughly 2x since early November. While shares are likely to continue trading at a sizable premium to recent averages, we view increased investment spending, limited company affirmed details on Keurig Cold, and a wide launch date window in FY15 as reasons to hold off on placing new money in Green Mountain shares in the near term.” Shares hit new 52 week highs of $120.77 before closing the day at $120.00, up 0.50 percent. Analysts at Openheimer reiterated an Outperform rating on Panera Bread (NASDAQ: PNRA) with a price target raised to $200 from a previous $180. The analysts noted “After lagging the market by 10%+ over the past year, Panera's setup is attractive in front of a new catalyst cycle. Improving execution against very "tempered" '14 estimates equips the earnings model with a compelling risk/reward profile. Valuation multiple expansion could add to upside-case as fresh traffic drivers emerge (national ads, new technology, increased labor hours). 4Q13 results (2/18) are likely subdued from bad weather, but '14 EPS guidance could lift many low-outlier estimates as 10 of 24 analysts project single-digit EPS growth and our analysis implies upside.” Shares gained 1.60 percent, closing at $176.67. Analysts at Belus Capital Advisors upgraded Chipotle Mexican Grill (NYSE: CMG) to Buy from Hold with a price target raised to $600 from a previous $500. The analysts noted “Chipotle is unwrapping for its investors strong growth today due to multiple fundamental elements, including: (1) increasingly quicker line throughput (during peak times people are getting onto, and off of, the line faster); (2) intensely positive customer response to new restaurant locations (could see this via photos on a Chipotle keyword search on Twitter); and (3) a switch to a non-GMO menu that in our view has begun to already appear in same restaurant sales (people feel better about eating at Chipotle and share with others, personally or on social media, that positive experience).” Shares gained 0.22 percent, closing at $546.05. Analysts at Citi downgraded Huntsman (NYSE: HUN) to Neutral from Buy with a price target lowered to $27 from a previous $29. The analysts noted “We had upgraded the shares in January '13 based on our thesis that the TiO2 cycle had bottomed. Since the start of '13 the shares have increased 42% vs. the S&P500 Chemicals Index up 28%. We still believe in the TiO2 cycle recovery, but it seems a little delayed from prior expectations. Plus, if the ROC Performance Additives and TiO2 deal comes to fruition, HUN's FCF would decline in 2014 due to cash restructuring expenses.” Shares lost 0.62 percent, closing at $22.48. Analysts at Imperial Capital said that J.C. Penney (NYSE: JCP) could monetize or sell off several assets on its balance sheet to meet its cash obligations. Specifically, the troubled retailer could raise funds through its revolver and second lien financing as well as its $900 million of “unencumbered” real estate holdings. Shares lost 0.67 percent, closing at $5.95. Analysts at Deutsche Bank upgraded Sprint (NYSE: S) to Buy from Hold with an unchanged price target of $9.25. The analyst noted that an upgrade is due to a recent pullback in shares and the analysts previous bullish thesis remains intact, namely a significant spectrum dvantage and an outlook for EBITDA growth over the next two years. Additionally, a bid for T-Mobile U.S. could yield annual cost synergies of around $3 billion. Shares gained 2.09 percent, closing at $8.06. Procter & Gamble (NYSE: PG) slashed its its fiscal 2014 revenue growth guidance range to zero percent to two percent and its core EPS growth guidance range to three percent to five percent from a previous guidance of five percent to seven percent. The company cited volatility in foreign exchange markets in Venezuela, Argentina, Turkey and elsewhere. Shares lost 1.00 percent, closing at $78.05. Dow Chemical (NYSE: DOW) said that it sees no value in pursuing a significant breakup, dealing a blow to hedge fund manager Dan Loeb who has amassed a large stake and urged the company to spin off its petrochemical business. Dow Chemical issued a statement and said that a review “found that a breakup of the company in a significant manner (simplistically described as petrochemical and specialty chemical assets) created no productivity or capital allocation improvements, but rather negatively impacted Dow's value proposition which leverages scale, integration costs and technology benefits across multiple science-based, vertically integrated value chains.” Shares lost 1.00 percent, closing at $46.37. Krispy Kreme (NYSE: KKD) and Green Mountain Coffee Roasters will partner together to develop a Krispy Kreme coffee to the Keurig system by the end of this year. Shares of Krispy Kreme gained 0.11 percent, closing at $18.17. TreeHouse Foods (NYSE: THS) filed a lawsuit against Green Mountain Coffee Roasters alleging that Green Mountain used anti-competitive practices in its Keurig K-cup market. Shares of TreeHouse gained 0.97 percent, closing at $64.71. Hedge fund Casablanca Capital said that it will back Lourenco Goncalves, former Chief Executive of Metals USA to become CEO of Cliffs Natural Resources. (NYSE: CLF) Casablanca owns approximately five percent of Cliffs and engaged an activist war against the company. Shares gained 2.28 percent, closing at $21.99. Shares of Medicines Company (NASDAQ: MDCO) have been halted as the Food and Drug Administration is meeting today to discuss the company's new drug application for cangrelor injection, for the proposed indication of reduction of thrombotic cardiovascular events including stent thrombosis (events related to blood clots in a stent, a device inserted to keep the artery open) in patients with coronary artery disease undergoing percutaneous coronary intervention (PCI). Shares remained halted at $33.10. According to Reuters, IBM's (NYSE: IBM) CEO Ginni Rometty is traveling to Beijing to “restore trust with Chinese regulators and reverse slumping sales.” Shares gained 1.59 percent, closing at $179.95. The Verge is reporting that Microsoft (NASDAQ: MSFT) is “seriously considering allowing Android apps to run on both Windows and Windows Phone.” Shares gained 0.79 percent, closing a $37.47. Bloomberg reported that Apple (NASDAQ: AAPL) plans to launch a new Apple TV set-top and is in talks with Time Warner Cable (NYSE: TWC) to collaborate with the new device. Shares of Apple lost 0.01 percent, closing at $535.91 while Time Warner gained lost 0.67 percent, closing at $134.79. Japanese giant SoftBank reported a 0.8 percent passive stake in Zynga (NASDAQ: ZNGA). Shares of Zynga gained 0.65 percent, closing at $4.66. Bill Ackman's Pershing Square highlighted another Herbalife (NYSE: HLF) “perpetrator” focusing on “Founder Circle” member Leslie Stanford who served on the company's board from 2002 to 2005 and owned more than one million shares of the company at the end of September 2005. 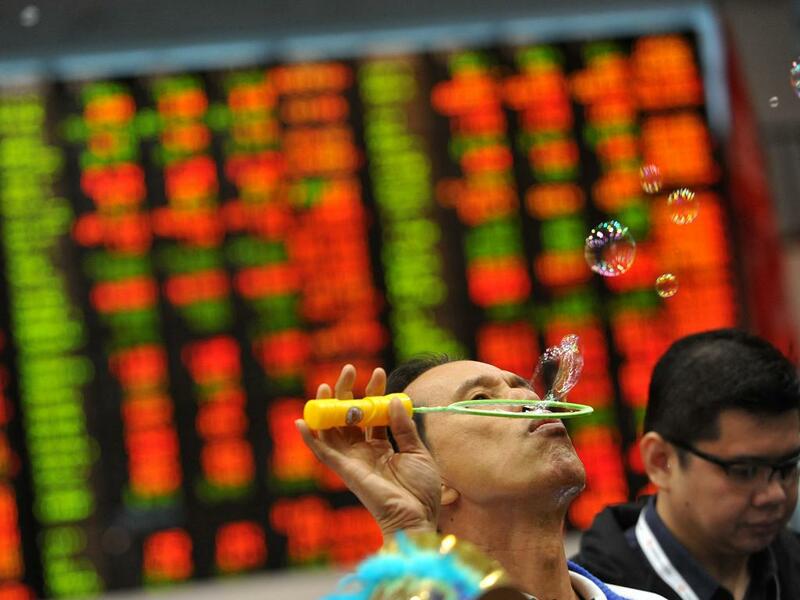 Shares lost 0.89 percent, closing at $65.60. Ford (NYSE: F) said that it sold 94,500 vehicles in China in January, a 53 percent increase over 2012's sales figures. Shares gained 0.27 percent, closing at $15.00. According to Reuters, both Goldman Sachs (NYSE: GS) and Deutsche Bank (NYSE: DB) are looking to exit its operations in trading supplies of raw uranium. Many investors were surprised to discover that the banks were even involved in such a trade as the companies have amassed stockpiles of low-grade uranium that rivals those held by Iran. Shares of Goldman Sachs lost 0.54 percent, closing at $163.50 while Deutsche Bank gained 0.70 percent, closing at $48.92. Analysts at Needham upgraded Seattle Genetics (NASDAQ: SGEN) to Buy from Hold with a price target raised to $60. The analysts noted that the company could be the next large cap drug company given its developing portfolio of antibody drug conjugates to fight cancer. Seattle Genetics could generate sufficient long-term growth from its portfolio to justify being a large cap. As an example, Needham noted that the company's Adcetris lymphoma drug could generate more than $2 billion in worldwide sales by 2020. Shares hit new 52 week highs of $51.97 before closing the day at $50.49, up 10.72 percent. Analysts at RBC Capital Markets upgraded TripAdvisor (NASDAQ: TRIP) to Outperform from Sector Perform with a price target raised to $95 from a previous $68. The analysts noted that the company offers “a high quality asset with a dramatically large user base (260MM uniques in Q4), a proven value proposition for marketers, platform potential in terms of new revenue streams (direct hotel bookings, vacation rentals, non-hotel click-based revenue streams, esp. given a base of 82MM installed apps, etc. ), and an intrinsically attractive business model (98% Gross Margin, 40%+ EBITDA margin). Shares hit new 52 week highs of $91.49 before closing the day at $89.85, up 6.71 percent. Recommended: Is The Beverage Industry Now Like The High-Tech Sector? Freescale Semiconductor (NYSE: FSL) announced that it will increase its secondary offering to 35 million shares from 30 million and pricing it at $18.50. The company stands to collect gross proceeds of $647.5 million to pay off senior notes due in 2020, notes due in 2016 and senior floating rate notes due this year. The company has made previous debt refinancing moves as the company ended 2013 with nearly $6.5 billion debt and only $747 million cash and equivalents. Shares hit new 52 week highs of $20.56 before closing the day at $20.50, up 9.33 percent. FireEye (NASDAQ: FEYE) reported its fourth quarter results after the market closed yesterday. The company announced an EPS that beat the consensus estimate by three cents and revenue beat the consensus estimate by $1.26 million. The company issued a light first quarter guidance and guided its revenue to be $70 million to $72 million and EPS of -$0.51 to -$0.56, below a consensus estimate of $76.2 million and -$0.37. The company sees its full year EPS to be -$2.00 to -$2.20, well below the consensus estimate of -$1.42. Shares lost 11.45 percent, closing at $69.08. This morning, WellCare (NYSE: WCG) reported its fourth quarter results. The company announced an EPS of $1.09, missing the consensus estimate of $1.05 due to higher medical benefits expenses. The company sees an impact of $1.17 to $1.26 a share to adjusted net income due to $125 million to $135 million in health insurer fees stemming from “ObamaCare.” The company predicts its EPS to be $3.75 to $4.05, below the consensus estimate of $5.03. Shares lost 8.97 percent, closing at $56.64. This morning, Talisman Energy (NYSE: TLM) reported its fourth quarter results. The company announced an EPS of -$0.11, missing the consensus estimate of $0.01. Revenue of $929 million missed the consensus estimate of $1.46 billion. The company said it plans to sell off $2 billion of non-core assets over the next 12 to 18 months in addition to the already raised $2 billion the company has received from previous asset sales. Cash flow for the quarter fell to $580 million from a previous $675 million while net debt totaled $4.8 billion, up from $3.7 billion at year end 2012. Shares hit new 52 week lows of $10.34 but recovered slightly to close the day at $10.85, up 2.26 percent. Recommended: Will Creative Edge Nutrition Become The Jolly Green Giant Of Medical Marijuana? This morning, Deere & Company (NYSE: DE) reported its first quarter results. The company announced an EPS of $1.81, beating the consensus estimate of $1.53. Revenue of $7.65 billion beat the consensus estimate of $6.62 billion. Net income for the quarter totaled $681.1 million, up from $649.7 million in the same quarter last year. Deere offered full year guidance and said that demand for farm equipment is "moderating," and the company expects sales of its agriculture and turf gear to decline six percent this year. Management reaffirmed previous guidance and said that it still expects its profit to be $3.3 billion. 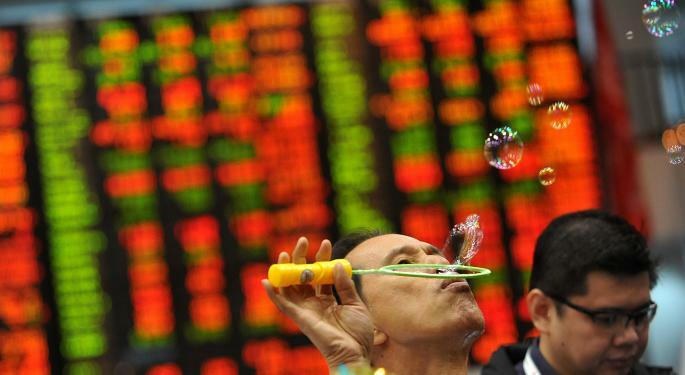 Shares lost 0.64 percent, closing at $86.90. This morning, Alpha Natural Resources (NYSE: ANR) reported its fourth quarter results. The company announced an EPS of -$0.52, beating the consensus estimate of -$0.61. Revenue of $1.1 billion missed the consensus estimate of $1.02 billion. Net loss for the quarter rose to $359 million compared with a net loss of $128 million in the fourth quarter of last year. Sales of coal fell to 20.6 million tons from 25.9 million tons in the same quarter last year, with the weighted average margin per ton plummeting from $17.45 to $4.57. Shares lost 3.80 percent, closing at $5.06. After the market closed, Whole Foods Market (NYSE: WFM) reported its first quarter results. The company announced an EPS of $0.42, missing the consensus estimate of $0.44. Revenue of $4.2 billion missed the consensus estimate of $4.3 billion. Shares were trading lower by 5.45 percent at $55.09 after the earnings release. After the market closed, Cisco (NASDAQ: CSCO) reported its second quarter results. The company announced an EPS of $0.47, beating the consensus estimate of $0.46. Revenue of $11.2 billion beat the consensus estimate of $11.3 billion. Shares were trading lower by 2.36 percent at $22.31 after the earnings release. After the market closed, MetLife (NYSE: MET) reported its fourth quarter results. The company announced an EPS of $1.37, beating the consensus estimate of $1.30. Revenue of $18.38 billion beat the consensus estimate of $17.43 billion. Shares were trading higher by 0.90 percent at $50.33 after the earnings release. “I don't see any large-magnitude asset bubbles” – St. Louis Fed Chief James Bullard in comments made today.